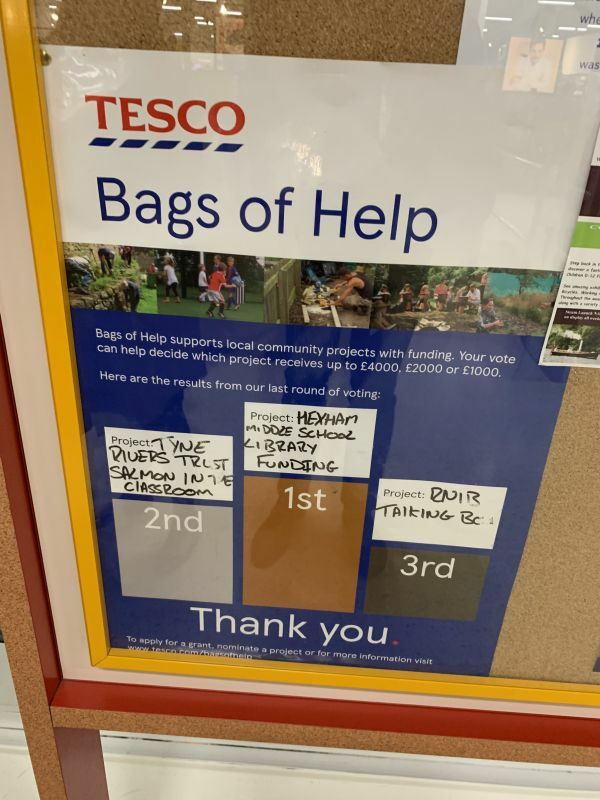 Home / Tesco Bags of Help: £4000 for HMS! Tesco Bags of Help: £4000 for HMS! £4000 of funding to support reading at Hexham Middle School! Thanks to Tesco’s blue token scheme at their Hexham store, we are pleased to report that this week we’ve received the fantastic news that we’ve won a grant of £4000 to stock up the school’s libraries with up-to-date and exciting reading material. Many pupils have already submitted requests as to novels and particular authors they would like to see more of, and others have mentioned non-fiction topics they’d like to read about in the library. Mrs Roff and Mrs Jackson will be taking requests via the ‘suggestions’ box in Beaumont library and will soon make a plan as to how the grant will be used to support reading in all year groups. Thank you to everyone, in our school community and beyond, who contributed blue tokens to our cause.